White Noise 6 for Windows has been released and includes our revolutionary Mix Pad! It’s available as a free update from the Windows Store. This latest release brings full support for the creation, import, and export of sound mixes. Download and import user mixes from our White Noise Market. Runs perfectly on all Windows 10 devices including Desktop, Xbox One, and Mobile. It’s really easy to create new mixes with White Noise for Windows 10. Tap on the Mixes segment at the top of the app and then click Add Mix to get started. 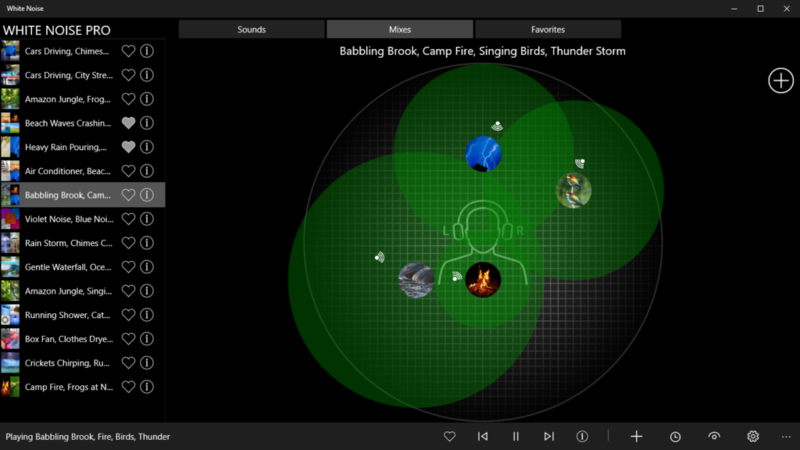 Add up to 5 sounds and adjust audio properties such as volume, position, pitch, and variance. It’s a lot of fun creating new ambient experiences. We are excited to continue to support our Windows 10 customers and hope you enjoy creating and sharing sound mixes with this new version. 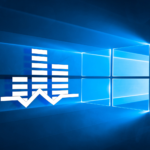 Download White Noise for Windows 10 and mix it up! This entry was posted in White Noise and tagged mix pad, white noise, windows 10. Bookmark the permalink.